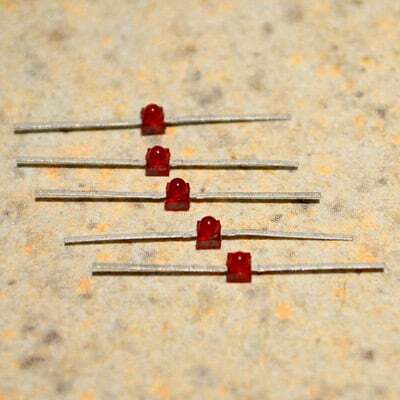 Here is a pack of five HLMP-6000 LEDs like we use in a lot of our kits. If you happen to mess one up installing it (hey, it happens to all of us) it can be difficult to locate replacements without a minimum order. A pack of these could be a handy backup if you build a single kit, and even more so if you build several. Store unused LEDs in a dry environment and install within one year of purchase.